Every once in a while you stumble over a product that is so marvelous you wonder if you’ve actually discovered the holy grail. A creation that offers something for everyone, and at a price that is affordable. It’ll suit you whether you’re a neophyte or a connoisseur. Fortunately for us, one of those little gems has come to our attention recently from a small company in California. 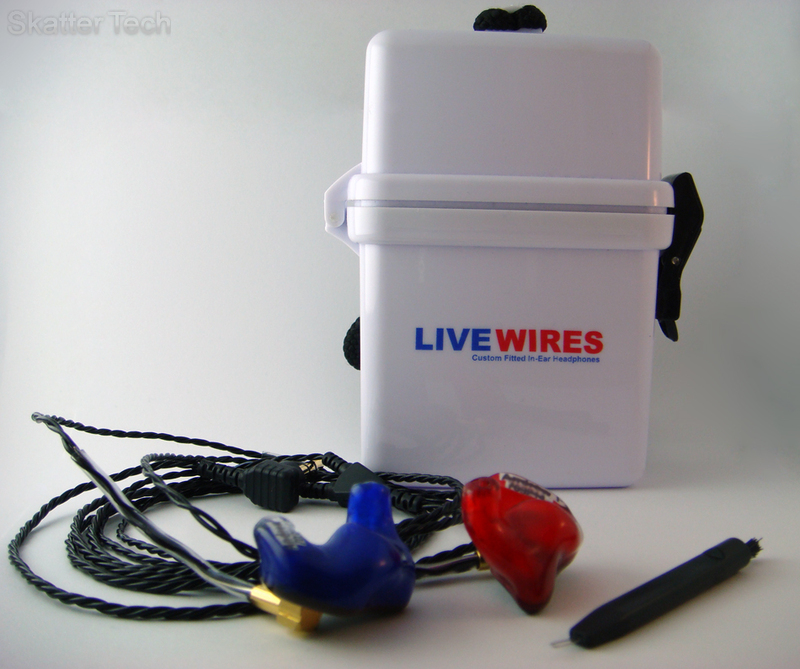 EarPeace Technologies presents us with the Livewires in ear monitors. 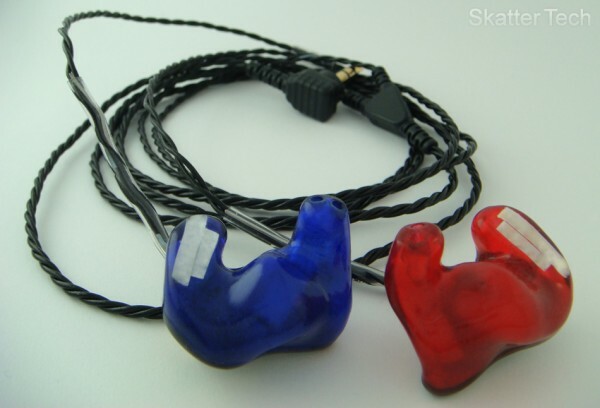 EarPeace Technolgies has taken up the task of producing a custom molded in-ear monitor (IEM) for the masses. Traditionally worn by (and only affordable for) professional artists on stage during concerts, the Livewires have opened a segment of the audio market for many who can appreciate the sound quality and comfort that custom molded earphones have to offer. Custom molded IEM’s offer improved comfort over normal universal headphones. Even though a plethora of different tips made of different materials and different shapes are available for standard headphones, a significant amount of people still discover comfort issues with those. While the fit of universals may work for some, it frequently becomes fatiguing after a period of time. Livewires seem to disappear once you insert them in your ears. In my experience I’ve worn them for over eight hours without experiencing any comfort issues. A custom molded IEM offers all of the noise isolating and sound quality properties of a normal universal IEM, yet also offers a level of comfort no universal IEM can achieve. Livewires are EarPeace’s first forray into the audio market and it looks like they have a strong chance of being rookie of the year. Purchasing a set of Livewires isn’t as simple as going to your local white box store and ringing them up at the register. Since Livewires are custom molded, there are a few steps involved in making a purchase. The first step would be to contact EarPeace Technologies or one of their distributors (list included at the bottom). The folks over at Livewires are all very friendly and will help you accordingly with your inquiry. They’ll eventually refer you to a local audiologist to have impressions of your ears made. The appointment normally only takes around 15 minutes. The impression material is thick goop that feels strange, but doesn’t cause any discomfort during the procedure. Once you have your impressions the next step would be to ship them over to EarPeace Technologies. They’ll have your Livewires made at their lab and you should have your brand new set of headphones within a few weeks. The emphasis on Livewires is their customability, and that certainly doesn’t stop with just the fit. Livewires are offered in a multitude of different color configurations. The ear piece itself is constructed of a shell (molded part that goes into your ear) and the faceplate (visible while wearing and where the cable plugs into). Faceplate color options include red, blue, black, dark brown, tan, white, and clear. I opted for their standard configuration of red and blue. Another neat custom feature on Livewires are the replacable cables. Should Livewires ever release a new cable or if you need a replacement for a torn cable, the cables are easily detachable from the ear pieces. Sound-wise, the Livewires are simply shocking. Livewires utilize a dual balanced-armature driver design to produce a very crisp and clear sound. Outstanding seperation and articulation are some of the strong points you will immediately notice when listening to Livewires. Seeing as how this is a dual driver design, each earpiece has one high frequency driver and one low frequency driver to deliver a more extensive frequency range at a greater quality. The sound signature of Livewires has a very comfortable characteristic. It’s been described as having a sound similar to another popular high-end IEM (althougn not custom) the Westone UM-2, yet not as warm and improves drastically in the high end range. The overall sound leans towards being a bit warm, yet not too much that it becomes fatiguing. Bass extension is very deep, especially for an IEM. It is also very punchy and tight. It doesn’t sound bloated or muddy, instead offering a nice balance. On the high-end, Livewires offer crisp highs that don’t disappoint. High-hats and other cymbals come through well, although not as strong as the midrange or bass, which are simply phenomenal. Vocals come through extremely well and amazingly accurate. In many test tracks I was able to hear the vocalists taking breaths which had been non-existent in other headphones. Female vocals come through better than male ones, although both have that wow factor. A universal flaw among IEM’s is their tendancy to not have much sound stage. Due to the design, IEM’s have a difficult time representing a larger concert hall and seem very narrowly focused. It was a great shock to me as the Livewires appeared to produce a significant amount of soundstage. Granted, it isn’t what you’d experience with a quality full-sized headphone, it is prevalent and a welcome trait. Applications-wise Livewires aren’t really “custom,” but universal! The sound they offer meets the stringent requirements of professional artists and is used during live concerts and monitoring. Their compact size makes them an easily portable source of high end audio for those on the go. Business travellers have found use for Livewires during commutes in public transportation or aircraft since Livewires isolate outside noise well. Audiophiles will appreciate a custom monitor at a low price with quality sound. Also garage bands and other small groups now have the option of a high quality monitor at an affordable price. Where Livewires unfortunately fall short is the package. Included with Livewires is a carrying case, cleaning tool, and short manual. The case isn’t asthetically pleasing at all and is bulky for an IEM case. The initial presentation isn’t very exciting, although it says nothing about the sound. One quirk that Livewires do have is their very high sensitivity. Since they need to meet the high standards demanded by professional artists they have a high sensitivity that is able to pick up the noise created by cheaper amplifiers in many portable audio players. A slight hiss will be audible with many portable music players, although it isn’t noticable once playing music in most cases (unless your audio player has a REALLY cheap amplifier). The earlier iPod generations will exhibit this hiss, although the 5th gen and up don’t really have an issue. Another little quirk is that since the Livewires are so accurate, if you’re listening to a lower quality recording (128kb MP3 for example) you’ll notice it. Livewires will reveal the improvements of better compressed quality encoding (such as 320kb mp3). Compared to the competition, Livewires maintain an ultra-low price and a very competitive sound. 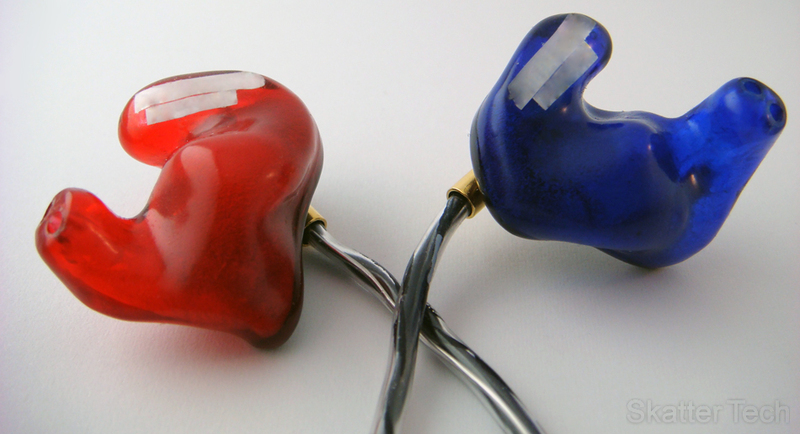 Normally, a custom molded IEM will cost over $600. EarPeace Technologies is offering Livewires at an astounding $249 including shipping. That price should come out to around $300 after audiologist ear impression fees and shipping fees. While overall cost may seem like a significant amount for headphones, Livewires are a high quality product and the sound they produce are well worth it. I’m glad you liked them. I’m overly disappointed in them. You’re right about them being way too sensitive. You will have to turn your source down about half of what you’re used to listening to it at. The cables are to long and get caught on everything. Dual drivers were a selling feature to me until I got them. My reaction to the sound quality was the opposite of yours. The mids and highs over power the bass leaving you to increase it on your EQ. Then the drivers are over driven and sound terrible. If they put resisters on them to help with the sensitivity and sound it would help a lot. Basically I liked them at first but the more I listened to them I found out it was only for their noise reduction qualities that I did. I’ve ended up going back to my Sonys to hear some bass without my ears bleeding from all the highs that these put out. Now if I want quite I put in my custom made silicone ear plugs and enjoy. The hard plastic that they use isn’t as comfortable for me. My ears hurt after an hour where I can go all day at the racetrack with my silicone plugs. I would have sent them back for a refund but life got in the way and I missed the 30 deadline. At $250 I guess you get what you pay for when everything else starts at $600 and goes way up from there. It sounds as if your Livewires didn’t fit correctly. In the custom IEM field it’s not uncommon to have to have your ear pieces re-fitted. If you still have your Livewires, Earpeace Technologies will happily re-fit yours free of charge as part of the warranty. The fit and seal contribute to the bass significantly. I’d call them and see what they can do for you. Mine have been very comfortable and I’ve worn them for 10hrs straight on a flight to Europe. I am surprised at the above comment. I have tried all different kinds of in ears and these are the best I have found, and the price is right as well. As for the long cord its great that has been a problem with the other in ears we have tried. There to short to reach the battery pack and you can not move around on stage. I ordered your product on 11/13 at the Christian Musicians Summit, Overlake Church and was wondering when I can receive the earpiece? I paid cash ,writing a check at the time. The check was cashed. We at Skattertech don’t work for EarPeace technologies. If you would like to get in contact with them please visit their website at http://www.mylivewires.com. Their CS email is support@mylivewires.com. I’ve done my research online and have had many referrals to check out Mylivewires. Our church just got an in ear system and i was using my bose in ears, and for the last 3 days my ear drums were sore and fatigued. I actually called EarPeace Tech and talked to the owner! It seems like John Diles is very active in the day-to-day business of his company. He explained to me how they have the same drivers as $800 models in the marketplace – from the same manufacturer, and how he has improved the product over time (i.e. shell case thickness – to make it more durable). He asked me about the audiologist I was scheduled to see and even suggested that I find someone else to get a cheaper quote on impressions. John even made a call for me to a local office to sweet talk the owners into giving me a good deal. All in all, I am impressed with my interactions with the company. My order is on its way to California. I can’t wait to try them out! Worst company ever. Buyer BEWARE! We were supposed to get our Livewires in time for multiple shows and as of 2 months later, still no product or receipt of order. I’m beginning to thing we have been dooped and robbed. And of course now that I am sharing this story, I am realizing that I am not the first with this problem! Do NOT order from John and Martha at Livewires.